Releasing a trailer means lots of nerves. Just look how many veins Wolverine has there. Sure there are questions; will it be better than the Origins? Will Psylocke sneak in with the Silver Samurai? 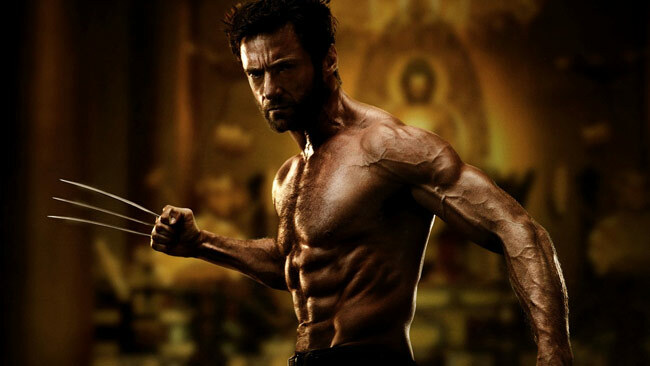 Will Wolverine use a Gillette and reveal to the world he is actually Clark Kent under all that fur? Who knows, but now the trailer is released, he needs to go enjoy the game and a brewski. Less veins that way. You, you can watch the trailer. I'm scared. I don't know if I want to watch this. Man, I just saw the trailer before the GI Joe movie and this one looks gooood. Reminds me of the Kitty and Wolverine series. If the actual movie is half as good as the trailer it's going to knock someone out of my top five superhero movies list. Thanks for the comments folks! Does anyone know who the woman in green is? i was thinking this is reminiscent of the Frank Miller Wolverine mini-series but the Kitty Pryde & Wolverine mini works to. It sure does Dave! Also in answering my own question, the green lady with Wolverine is Viper, played by at Svetlana Khodchenkova. At first I thought it was The Enchantress! I'm sure I'm going to love this.